Any society consists of diverse and different types of persons; persons with different religions, different castes, different colors, different gender and different faiths etc. And it is expected that they all should live in harmony and without discrimination; ideal situation is when there is equality, freedom and brotherhood among all sections of society. However, human society all over the world shows that various types of exploitative practices are prevalent there; these practices originated due to human greed for power, authority and superiority; such as so-called higher caste people would exploit so-called lower caste persons; a white would exploit a black; males would like to dominate females; believer of one religion would downgrade other religions etc. These discriminatory and exploitative practices take the form of social evils in the long run and become a scar on the face of any civilized society. Every country, in its history, has had numerous bright individuals who would live and work for the progress and upliftment of the downtrodden persons in the society; and due to their efforts, it became possible to abolish several extreme social evils such as racism, sati pratha etc. In this Article we will study the life and works of various great social reformers of India; alongside we will also try to understand what is a social evil is; its causes and who is a social reformer etc. Who is a social reformer? A person who is concerned about the humanity and mankind above anything else; a person who wants to change the existing state of things for the better; a person who has an enlightened thought process; a person who cannot stand the sufferings of the weaker section of people; and above all a person who believes in the duty bestowed upon him to leave the earth behind him as a better place than it was. In fact a social reformer is an ordinary human being who wants to serve the cause of humanity in extraordinary ways. Raja Ram Mohan Roy, Ishwar Chandra Vidyasagar, Vivekananda, Mahatma Gandhi, Dr Bhimrao Ambedkar, Jyotiba Phule, Anne Besant, Mother Teresa, Vinoba Behave etc. We will look into the life and works of these extraordinary men and women and will appreciate their efforts in the making of today’s India. At the beginning of 19th century, India was plagued by various social evils such as Sati pratha, Caste system, Religious superstitions etc. Raja Ram Mohan Roy was the first person who recognized these inhuman practices and decided to fight against the same. He is considered as the architect of Indian Renaissance and father of modern India. 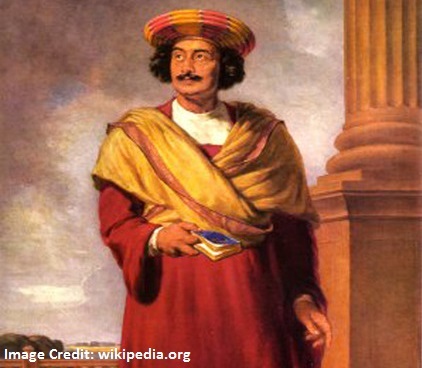 Ram Mohan Roy was born on 22 May 1772 in Radhanagar, Hugli district of Bengal. His father was Ramakant Roy and mother Trivani Devi; father was at a very good position in the court of the then Nawab of Bengal. He got his education at Patna and Varanasi. He also worked in the East India Company from 1803 to 1814. Belonging to a traditional Brahmin family, Roy was married off at a very young age and before attaining the age of ten he was married trice. He died of meningitis in Bristol, England on 27 September, 1833. Raja Ram Mohan Roy was very open minded and was of very questioning brains. He was very much influenced by western progressive thoughts. He was also well versed in the teachings of various religions. He was influenced by monotheism of Islam, Mysticism of Sufi philosophy, Ethics and morals of Christianity and Vedanta philosophy of Upanishad. He criticized idol worship of Hindus and tried to prove his point through the verses of Vedas. But the main contribution for which Raja Ram Mohan Roy is still remembered was his relentless efforts in abolishing the practice of Sati Pratha. Ram Mohan Roy got involved in fighting against it when his elder brother died and his sister-in-law was made a Sati. He began a movement to abolish this barbaric custom and for that purpose he persuaded the British Government to pass an Act abolishing Sati Pratha; the Bengal Sati Regulation Act, 1829 was passed by Lord William Bentinck, the then Governor General of Bengal. On August 20, 1828, Raja Ram Mohan Roy established the Brahma Samaj, which later became the Brahmo Samaj, an organization and a movement with the objectives of promoting monotheism, criticizing idol worshiping; opposing wide spread Brahmanism and uplifting the pitiful condition of women etc. In 1820, he published a book named Percepts of Jesus: The Guide to Peace and Happiness; in this book Ram Mohan Roy explained the simplicity and morality of Christian religion. He also started publishing two newspapers viz. Samvad Kaumudi and Prgya Chaand in the year 1821 to spread his ideas and views to the common people. He also started a Persian newspaper viz. Apart from these, Roy also helped in the establishment of one Vedanta College and the Hindu College in Calcutta. Raja Ram Mohan Roy’s work and efforts gave the first touch of modern ideas for India which was reeling under the dual burden of age-old social ills and British exploitation. His spreading of modern ideas was also perhaps the nascent beginning of long struggle of India’s Independence. Thus, his contribution is like a bed-stone in the making of modern Indian. Vivekananda, born to Vishwanath Datta and Bhuveneshwari Devi in Calcutta on 12 January 1863 was an extraordinary man. His childhood name was Narendranath Dutta. From early childhood Narendra was a very bright student; his memory and reading capabilities were exceptional; Narendra was a voracious reader. A brilliant student, he was interested in wide range of subjects such as philosophy, Biology, Art, Culture, Music, Social studies etc. Especially he was interested in philosophy and religious texts; he keenly read the works of western philosophers and thinkers such as Kant, Hegal, John Stuart Mill, Auguste Comte, Spenoza, Herbert Spencer and Charles Darwin etc. He was also well-versed with all philosophical and religious texts of Hinduism be it Upanishads, Vedas or Ramayana and Mahabharata. All these readings made him a very inquisitive person. His quest for truth and knowledge took him to Swami Ramakrishna Paramhansa and Narendranath transformed into Vivekananda. Though Vivekananda had not initiated any particular social reform but his speeches and writings were full of messages against all kinds of social and religious evils. His main focus was on removing the weakness of India’s youth of the time, both physical as well as mental. And to gain strength he suggested physical exercise or attaining of knowledge. For him strength is life and weakness is death; for all the problems of India whether social or political the solution is self-respect in India’s culture and philosophy. He was against religious dogmas and superstitions; in his speeches and lectures he continuously argued against prevailing social evils.He was more confident about women’s ability to change the fortune of India; he proclaimed that with the help of 50 women he can transform India into a modern forward looking nation. He inculcated, in the youth of the country, a sense of proud and worth so that they could face the world with confidence. He was fiercely against any kind of social evil perpetuated by religious logic and dogmas and was of the view that Hindu belief in untouchability must change if the nation is to progress. Further, his fiery speeches and lectures gave a momentum to the national movement for Independence and his life and teachings are still a source of inspiration for the youth of the country. 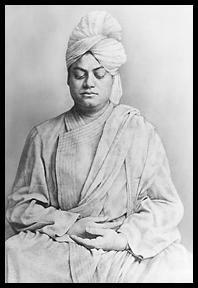 Swami Vivekananda died on 4 July 1902 while in meditation at Belur Math, Bengal, India. Swami Dayananda Saraswati’s childhood name was Moolshankar; he was born on 12 January 1824 at Maurvi, Gujarat. He left home at the age of 21 and he kept wandering in the company of one Dandi Swami Poornananda who gave Moolshankar the name Swami Dayananda Saraswati. Swami Dayananda was the great believer in the teachings of Vedas; he gave the slogan: ‘Return to Vedas’. He criticized Hindu religious texts such as Puranas for perpetuating Idol worship and other superstitions. He tried to revive true Hindu philosophy and belief and argued against all wrong things being propagated in the name of Hinduism. 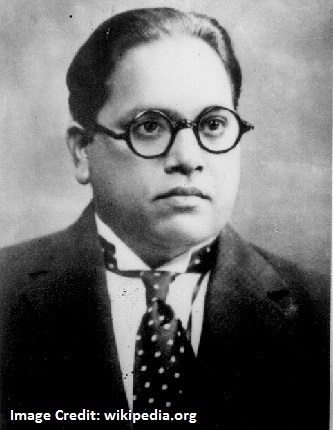 He aggressively attacked social evils like Caste System by birth but he argued that it should be on the basis of occupation and work. He supported and advocated women’s right to education and their equal social status. Also, Swami Dayananda started campaign against Untouchability, Child Marriage etc. He supported inter-caste marriages and widow remarriages; supported Sudras and women’s right to read Vedas and to attain high education. Swami Dayananda Saraswati established ‘Arya Samaj’ in the year 1875 to propagate his ideas. Its objective was to revive and reform Hindu religion; establishment of Vedic religion in its true form again; to unify India socially, religiously and politically and to stop western cultural effects on Indian culture and civilization. However apart from all the good deeds of Arya Samaj, it also became controversial for its ‘Shuddhi Movement’ under which such persons were allowed to return back to Hinduism who had converted to other religions. But Swami Ji contribution in removing social evils of India and especially of Hinduism is very significant; it gave sense of pride to Indians, as said by Annie Besant for him that Swami Ji was the only one who proclaimed: ‘India is For Indians’. 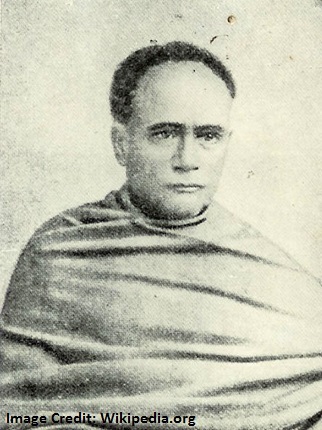 Ishwar Chandra Vidyasagar was one of the most remarkable social reformers of 19th century. He was born on 26 September 1820 in Paschim Midnapur District of Bengal to Thakurdas Bandhopadhyaya and Bhagwati Devi. His early childhood was spent in poverty without much of the basic necessities. But Vidyasagar was a brilliant student; he used to study under street lamps because at home there were no lamps. By performing exceptionally at schools and colleges he received various scholarships; also he used to do part-time teaching jobs to support his studies and family. At Sanskrit College, Calcutta he studied Literature, Sanskrit Grammar, Law and Astronomy etc. Vidyasagar was a very courageous social reformer and he never hesitated to challenge the prevailing social evils. His main contribution was towards the uplifting the status of the women; he was a great supporter of widow remarriages; in those times the condition of widows among Hindus was very pathetic, Vidyasagar worked persistently to elevate their position. For the purpose, he persuaded the British government to make a law legalizing widow remarriages; thus the Widow Remarriage Act, 1856 was passed which gave rights to widows to marry again and child born out of such marriages were also considered to be legal. He also argued against polygamy and child marriage and said that there is no sanction in Hindu religious texts for these practices. Further, in the field of education his contribution was immense; he refined and made accessible Bengali language to the common people by simplifying it in his famous book, Barno-Porichay (introduction to the letter), the book is still considered as a classic in Bengali language. Vidyasagar was famous for his kind-heartedness; he was always there to help poor people in distress, people on the streets and poor children. Vidyasagar ji continued the reform process started by Raja Ram Mohan Roy and remained active with Brahmo Samaj activities. He died on 29 July 1891 in Calcutta. 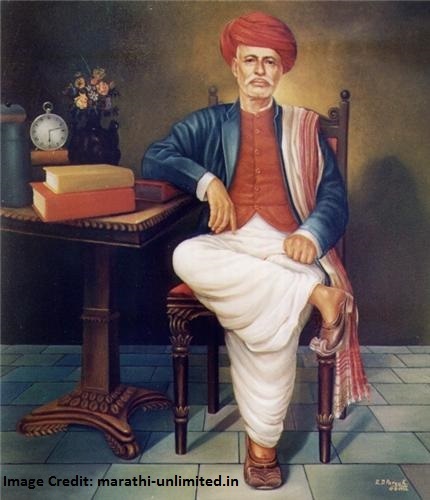 Jyotirao Govindrao Phule was born on 11 April 1827 in Satara, Maharashtra in a family of vegetable vendors. He could not complete his education due to family’s poor condition but later completed it with the help of a few persons who had recognized his potential. Jyotirao was married at the age of 12 with Savitribai Phule. His life changed when he was insulted by one of his Brahmin friend and then he realized the caste divide and discrimination present in the society. This event proved a turning point in his life. He began to realize and observe various types of social evils being practiced in the society and decided to fight against them. A book by the writer Thomas Paine, The Rights of Man, gave him further push to start a movement against prevailing social evils such as caste system, untochability, women’s pathetic condition, poor condition of peasants etc. His first and foremost work was in the field of women’s education; and his first disciple was his wife herself who always shared his dreams and supported him all through life. To fulfill his ideals and aspirations of creating a just and equitable society, in 1848, Jyotiba opened a school for girls; it was a first girls’ school ever in the country. His wife Savitribai taught there as a teacher. But for trying to educate girls, a highly unthinkable act at that time, Jyotiba was forced to leave his home. However such threats and pressures by the society would not deter him from doing his work and he kept creating awareness among people about social evils. In 1851, he started a bigger and better school for girls which became very popular; there was no discrimination on the lines of religion, caste or creed and everyone was welcomed to study there. Jyotiba was also against child-marriages and was a great supporter of widow remarriage; he was very sympathetic to the cause of distressed women and opened a home for such poor and exploited women where they could be taken care off. Jyotiba was also actively involved in the emancipation of so-called lower castes and especially the Untouchables; in fact he was perhaps the first person who gave untouchables the name Dalit as signifying someone who is broken, depressed or exploited and is outside the so-called Varna system. 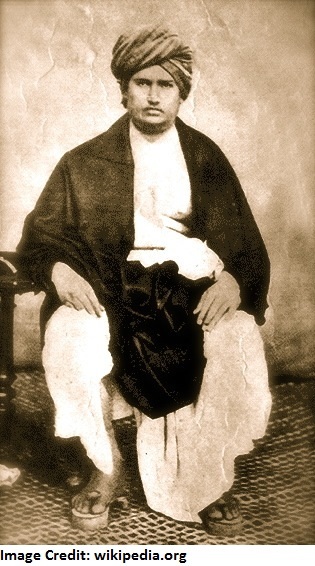 For uplifting the so-called lower caste people and untouchables, on 24 September 1873, he formed the Satyashodhak Samaj (the Society of Truth Seekers); the main objective of the Samaj was to create a just and equitable social order free of discrimination on the basis of caste, religion or gender. Satyashodhak Samaj was also opposed to religious dogmas and superstitions such as idolatry, need for priests and irrational rituals etc. Thus, Jyotiba Phule devoted his whole life for the weaker and depressed section of society; in his thinking and works he was well ahead of his times. 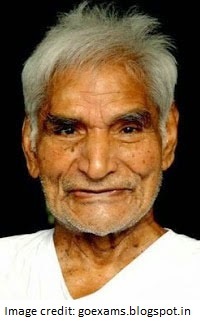 Baba Amte was one of the most prominent social reformers of modern India; born to Devilal Singh and Laxmibai Amte, his childhood name was Murlidhar. He was born on 26 December 1914 in Wardha District of Maharashtra. His father was a high profile British Government officer, thus, his was a wealthy family and he lead a luxurious life in his young days. But Baba Amte was always a liberal in his thinking and used to be with friends of all castes and religions. He studied law and had a very good legal career at Wardha. He was also involved in the Freedom Movement against the British and participated in several movements led by Mahatma Gandhi. He was very influenced by Gandhiji and all his life followed his principles and way of life. His most important contribution to India and its society is his work for the care, empowerment and rehabilitation of people sufferings of leprosy. Leprosy is a kind of disease which has a lot of stigma attached to it, even more in those days than now. Baba Amte vehemently tried to spread awareness about the disease that it’s not contagious and once allowed virus from a leprosy patient to be injected into him to prove his point. For treatment, care and rehabilitation of leprosy patients disowned by their family and society, he founded three Ashrams in Maharashtra. He also established a Hospital for the same purpose on 15 August 1949 in Anandvan. Furthermore, he also worked for creating awareness among masses towards the conservation of forests, ecological balance and wildlife protection. He was also associated with Narmada Bachao Andolan and worked for the rights of displaced people due to the construction of Sardar Sarovar Dam. Thus, he devoted all his life for the welfare of society and for India’s better future; Baba Amte died on 9 February 2008 at Anandvan, Maharashtra. 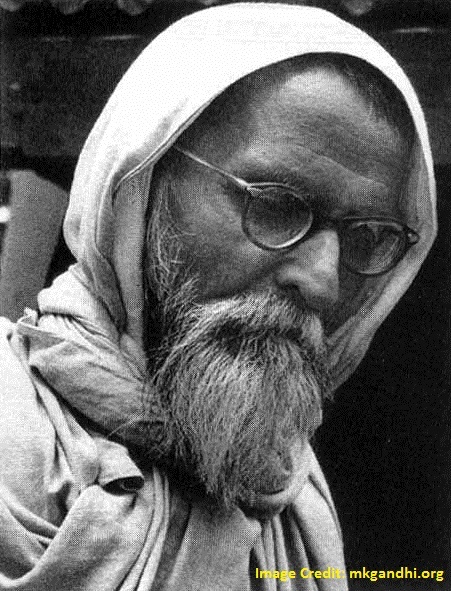 Acharya Vinoba Bhave was one of the most prominent humanist and social reformers of modern India. He was born on 11 September 1895 to Narahari Shambhu Rao and Rukmini Devi into a Brahmin family in Gagode village, Raigad district, Maharashtra. His real name was Vinayak Rao Bhave; at a very age, he was highly inspired by Bhagavad Gita’s teachings. He had a spiritual bend of mind and believed in the goodness of all religions. Inspired by Mahatma Gandhi’s speeches, he joined him at his Ashram at Ahmedabad and started participating Gandhiji’s constructive programmes such as teaching, creating awareness about sanitation and cleanliness and promotion of Khadi etc. The most significant contribution of Vinoba Bhave was his Bhoodan (land gift) Movement started at Pochampally, Telangana on 18 April, 1951. Slowly this movement gained momentum; Vinobaji travelled all over the country asking landlords to donate lands their landless brethren. After getting lands as gift, he donated the same among landless poor people to cultivate. Thus, his Bhoodan Movement was one of the unique methods of providing social justice to the masses. He also established Brahma Vidya Mandir, an Ashram and a community for women with the aim of making them self-reliant in food production with the help of Gandhiyan method of sustainability and non-violence. Vinoba Bhave was also a great believer of religious tolerance and through his writings and teachings tried to inculcate the same in common people. He was greatly influenced by the teachings of Gita and translated it into Marathi language. He also wrote interpretation and essence of several religious texts such as Gita, Quran and Bible. One major criticism of Vinoba Bhave was that he supported the Emergency imposed by Indira Gandhi; he called it ‘Anushasan Parv’e. Time for Discipline; though, his real intention was to convey that everyone should follow the rules including the rulers themselves. Acharya Vinoba died on 15 November 1982 at Wardha, Maharashtra; throughout his life he remained loyal to Gandhiyan principles and kept working selflessly for the welfare of society. As above said we came to know the feeling of her for poor, disabled and needy people’s .The great lady was born on August 26, 1910 at Skopje, Macedonia, named as Anjeze Gonxhe Bojaxhiu was a Roman Catholic religious sister. Her parents’ names are Nikolle Bojaxhiu and Dranafile Bojaxhiu. She completed her education from Loreto Abbey, Rathfarnham (1928 -1929) & Institute of the Blessed Virgin Mary. At a very tender age of 12 years she felt a calling to a religious life for first time. At the age of 18 years Anjeze Bojaxhiu decided to become a nun and she joined the Loreto Sister of Dublin. Here she gets the name Sister Mary Teresa. After working there for several years she travelled to Darjeeling, India. She went to Calcutta; there she was assigned to teach girls of Saint Mary’s High School. This School was dedicated to teach girls from the city’s poorest Bengali families. After working here for 6 years on 24 May, 1937 she took on the title of “Mother” as a custom for Loreto nuns and thus became known as “Mother Teresa”. In August 1948, she left the Loreto Convent and wandered out. She took 6 months basic medical training and contributed her whole life to the untouchable, unwanted, uncared and, unloved people of Calcutta. Mother Teresa devoted her entire life in serving the needy and poor people of society. She begins her mission in India (Calcutta), 1948. She succeeded in bringing the people of different religions and castes to help needy and poor people of India. Lower caste and untouchable person who were not touched or treated by doctors or vaidya and died due to lack of medicine and care by their love ones. After seeing the situation of city’s poor people she decided to open a school and also established a home for the persons those are rejected by their families due to untouchable’s diseases. 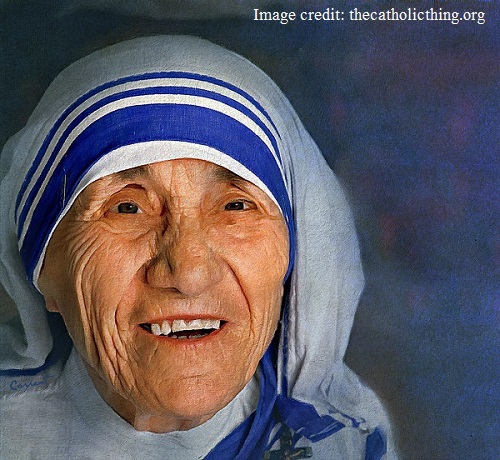 In 1950 she opened ‘The Missionaries of Charity’ only with 12 members. She took care of the poorest of the poor, the sick and the dying persons. Mother Teresa and members of her mission went out into the city streets and picked up the dying homeless person. They would clean them, feed them and serve them with all the necessities of life so that they could spend their last days or hours in dignity. She made 20 missionaries home for street children. For her lifelong self-less service for the weak and downtrodden she was awarded with the Nobel Peace Prize in 1979 and Bharat Ratan in 1980. At the age of 87 on 5 September, 1997 she died in Kolkata due to various old age problems. Description:Current issues are now on the Chicago Journals website. Read the latest issue. Founded in 1927, Social Service Review (SSR) is devoted to the publication of thought provoking, original research on pressing social issues and promising social work practices and social welfare policies. Articles in SSR analyze issues from the vantage points of a broad spectrum of disciplines, theories, and methodological traditions, at the individual, family, community, organizational, and societal levels.